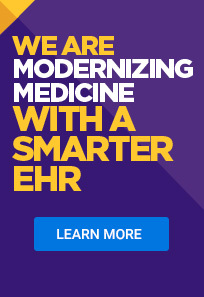 BOCA RATON, Fla. – April 17, 2019 – Specialty-specific healthcare information technology leader Modernizing Medicine® today announced the release of its enhanced allergy solution, now available within the EMA™ electronic health record (EHR) system. This latest enhancement enables allergists and otolaryngologists – ear, nose and throat (ENT) specialists – to more easily record allergy testing and serum mixing data into the otolaryngology EMR system, adding to the already robust medical content included for allergy, asthma and immunology diagnoses. Practice Management (PM) – From scheduling the visit through service completion, this system fully integrates with EMA and focuses on practice operations and finances, connecting the front and back offices. Part of the all-in-one system, it’s designed for scheduling, document management, billing and reporting.